Kratom (Mitragyna Speciosa) is a plant that comes from the same family as the coffee plant (rubiaceae). Kratom has been used for generations as a traditional medicine in its native regions, which include Thailand, Indonesia, Malaysia, Vietnam, Cambodia and Laos. Each of these locations produces high quality kratom, with effects that vary based on both the location and vein colors. Kratom has been gaining popularity in the West for over a decade. 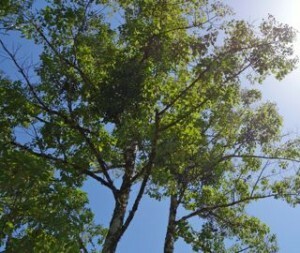 People are now starting to understand the benefits this South East Asian tree can offer to people suffering from a variety of ailments. This page will examine everything from the general effects of kratom, to the specific effects of certain strains and vein colors, to the safety and correct usage of kratom. We seek to combat the disinformation that has been spread about kratom and show the clear benefits of kratom that are well supported by modern science. Read on to understand the real truth about kratom, from people who have firsthand experience growing and preparing kratom since 2001. Kratom Effects – is Kratom an Opiate? Kratom has a range of effects, that vary based on factors like dosage, strain origin and vein color. Analgesia (pain relief) is the most significant effect of kratom. Kratom can relieve pain much more effectively than simple analgesics like ibuprofen or paracetamol, on a level comparable to opiates. So is kratom an opiate? In terms of biology, kratom works in a very similar way to opiates. Alkaloids within kratom (e.g. mitragynine and 7-hydroxymitragynine) belong to a class of substances called opioids. Other members of this class include synthetic opioids (opiates) and endogenous opioids (e.g. endorphins and dynorphins). All opioids, including those that occur naturally in the body, function in a similar way. By locking into receptor cells located throughout the body, they block transmission of pain signals and create a euphoric feeling1. And opioid receptors are responsible for more than just pain. They’re associated with the learning and reward systems of the brain, they mediate mood and affect anxiety and depression2. This is why kratom has such a range of applications in treating conditions. Kratom has been used with great success by people with: chronic pain, degenerative disease, anxiety, depression, low energy, IBS, GERD, acid reflux, ADHD, Crohn’s disease, diabetes, ulcerative colitis, RSS, opiate and alcohol addiction, insomnia, stress and more. And despite all these benefits, kratom actually has very few downsides. We’ll discuss this further in the ‘Is Kratom Addictive?‘ section, but suffice it to say that there is a key difference between kratom and opiates like hydrocodone, methadone and codeine. That isn’t a naturalistic fallacy – there is hard science behind why kratom being a plant is its greatest virtue. Firstly, because kratom is a plant, it is physically difficult to ingest enough to become high. The stomach will reject high levels of mitragynine and expel the kratom before that point. Secondly, kratom alkaloids bind preferentially to delta opioid receptors, where as synthetic opioids bind preferentially to mu opioid receptors. We’ll cover the science in more detail later, but essentially this is why kratom has much less addictive potential than synthetic opioids. And thirdly, kratom can be selectively bred to isolate and enhance certain properties, with far less risk than modifying a pharmaceutical. This means you can have a wide range of kratom strains that have different effects and never have to worry about side effects caused by a change in the chemical composition of a drug. For these reasons, many people are using kratom as a replacement for synthetic or semi-synthetic opiates, to wean themselves off of their medication. The mild stimulation of the mu opioid receptor is enough to stave off withdrawal effects and people find that kratom is much easier to quit than strongly habit forming opiates. Now, you’ve learnt about the general kratom effects and you’re probably already excited about the prospect of kratom helping you with an ailment you’ve been suffering. The next step is to understand the specific effects of different strains and vein colors. Read on to the next section to understand exactly why kratom is so often described as a ‘miracle plant’. Red vein kratom is the most popular and commercially available type of kratom that can be found in today’s market. This is because there are many areas in South East Asia where red vein grows naturally and in abundance. Our farmer’s studies also show that cuttings and seeds from red veins are more viable than other vein colors. 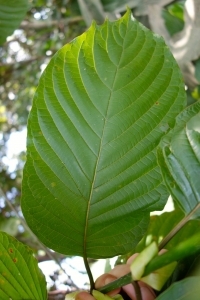 Red vein kratom, like all kratom veins, can be stimulatory or sedating based on the dosage. At low doses, kratom alkaloids bind mostly to the delta opioid receptor, which has energizing effects. At higher doses, alkaloids begin to bind to the mu opioid receptor, which has sedative effects. For someone of an average body weight of 65kg, a dosage less than 2g will probably have a stimulatory, energetic effect, increasing focus and motivation. Higher than 2g will begin to have sedative effects and promote rest and relaxation. The effects you experience from kratom very much depend on what you want from it. If you’ve read this far, you probably have some idea of the condition that you hope kratom can help with. If your condition is something that slows you down, like depression, low focus, low energy, pain or discomfort; you probably want a low, stimulatory dose. If your condition is something that wears you out, like anxiety, insomnia, stress, nagging pain or drug addiction, then you probably want a higher, sedating dose. This is a general guideline and you can find specifics in our dosage section. Now you’ve begun to understand how kratom can have such a wide variety of applications depending on how it’s used. Once you understand the further nuance that vein colors add to kratom effects, you’ll see why so many see kratom as a panacea. Red vein kratom in particular has strong pain killing properties, even at low doses, making it popular both for daytime and nighttime use. Chronic pain sufferers will prefer red veins, which have the strongest pain killing effects of all 3 vein colors. The alkaloid profile of red vein kratom also makes it a great choice for opiate addicts looking to wean themselves off of synthetic medication. 100% Red veins such as Vietnam or Bali are the best kratom strain for opiate withdrawal. Bali red vein is by far the most popular kratom to get off opiates and is highly recommended. Premium Red Bali is a popular red vein kratom, highly sought after for its pain killing and euphoric effects. This strain is a great choice for people looking to relax and relieve themselves of whatever pains and stresses are troubling them. You can use this strain a few hours before bed and experience a few pleasurable hours of relaxation followed by a deeply refreshing sleep. Maeng Da Kratom is another extremely popular red vein, with a slightly different alkaloid profile to that of Bali kratom. It offers pain relief as well as energy and euphoria plus stimulation, making it a great choice for daytime use. If you need to deal with pain daily and still be productive and energetic, this is the ideal strain for you. Some find that red veins can leave them a little too relaxed though. In the next section, we’ll explain why white veins are the favorite of those looking for daytime energy and focus boosts and why white veins are so effective for depression. White vein kratom is steadily increasing in popularity and it’s easy to see why. Although the basic effects of white vein kratom are the same as other kratom colors – somewhat stimulatory at low doses, sedative effects at high doses, generating pain relief and mild euphoria – white vein kratom does have its own unique properties that sets it apart. White veins are typically thought to have more energizing effects and are popular with those seeking a daytime kratom that can be used without over-relaxing. Many people use white vein kratom as a replacement for morning tea or coffee, as they find it does a better job of increasing energy and concentration. This kratom is also a popular choice with IBS sufferers who need a morning energy kick and find coffee or tea irritates their stomach. Kratom actually has a soothing effect on inflamed stomach lining3, making it an ideal choice for energy. Depression sufferers also appreciate white vein kratom, which can not only assist with the lethargy and low motivation associated with depression, but can also lighten the mood and brighten the spirit with its euphoric effects. 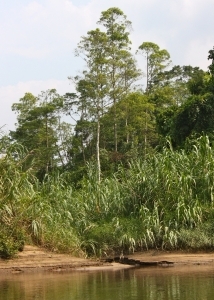 White vein kratom comes from many areas of South East Asia, but the most prominent is the island of Borneo in Indonesia. 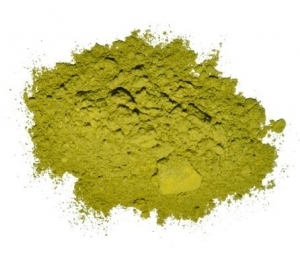 We offer the rare Sunda White Vein kratom, which is proving very popular. Customers that sample the Sunda tend to order it again and again. White vein kratom could be considered the most energizing of the 3 colors and red veins could be considered the most sedating. The final vein color we will discuss is green vein kratom, which sits in the sweet spot between the two. Read on to understand why this makes green vein kratom ideal for anxiety sufferers and anyone seeking increased energy without risk of jitters. Green vein kratom is the most underestimated of all 3 vein colors. Many customers testify that green veins are the best kratom strain for anxiety and depression. But the truth is that green kratom is a great all rounder, sitting in the sweet spot between energizing and sedating. And this makes it the perfect choice for anyone seeking energy, but wanting to avoid over-stimulation, like those suffering from anxiety disorders. Those prone to panic tend to find energetic white veins exacerbate the problem, where as red veins are too sedating for daytime use. Green veins offer the perfect balance of kratom effects. It is also ideal for those that want a good balance between pain relief and productivity, making it popular with those suffering from chronic pain who wish to remain productive and able to work. 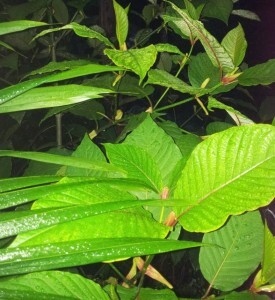 Green vein kratom is harvested from Indonesia and Thailand but the most potent is green Malay kratom. Green Malay Kratom continues to be a popular choice for consumers and is probably the best all-rounder strain; for euphoria, energy, motivation and stress and pain relief. Now you’ve learned about the general effects of kratom and how vein color and strain origin can alter those effects. And you understand why kratom has such a range of applications in treating ailments. But you may be beginning to wonder – where’s the downside? It’s true that like everything, kratom has negative aspects. But it is possible to mitigate unpleasant side effects by following sensible usage guidelines. In the next section, we’ll discuss the risks that come with kratom use and how you can safely avoid them. It is important to understand the risks when taking kratom. As long as everyone follows sensible guidelines for using kratom, we can all stay safe and ensure kratom stays on the market for the long term. There are many organizations with a vested interest in seeing disinformation spread about the potential risks of kratom. Imagine all the businesses that would be out of pocket if everyone exchanged their pain medication, antidepressants and sleeping pills with a natural substitute? The truth is that there are no legitimate deaths attributed solely to kratom use4. As we discussed earlier, consuming high levels of plant matter will cause the body to reject it, making it physically difficult to overdose. It is important to understand that kratom can be habit forming. This is the case with any substance that binds with opioid receptors. When the body receives a pleasurable sensation, the pattern of behavior that lead to that feeling is reinforced. This is useful for reinforcing good habits, like getting regular exercise. However, when a drug creates an extra-normal pleasurable sensation, ‘hyper learning’ can occur, in which the behavior pattern is reinforced much faster than is normal. This is the case with drugs like cocaine and methamphetamine, which makes them very difficult to quit. Kratom is different to those kind of synthetic medicines. Cocaine and amphetamines sharply increase dopamine and synthetic opiates like morphine and codeine act on mu opioid receptors. Kratom on the other hand, binds preferentially to delta opioid receptors. These receptors are less associated with addiction. It is only at higher doses that kratom alkaloids bind to mu receptors, which can lead to physical dependence, albeit on a milder scale compared to synthetic opiates. The worst that withdrawal effects of kratom can get are on a similar level to trying to quit caffeine. That isn’t to say it is necessarily easy to quit caffeine and you might experience symptoms like sweating, nausea, restlessness and a runny nose if you quit cold turkey. The best way to avoid becoming physically dependant is to keep to a strict regimen. If you’re someone who is looking to use kratom once or twice a week as a pick me up, you don’t have anything to worry about. Anyone who is staggering doses with a few days on and a few days off is unlikely to have any issues. For those of us who need to deal with chronic pain every day, we need to be smarter about how we take our kratom. Try to use a set dosage that you’ve decided works for you and resist the temptation to increase beyond that. Only take kratom when you really feel you need it. One trick to maintain healthy tolerance levels is to rotate between a few different strains. Each strain and vein color has a unique alkaloid profile, meaning each type of kratom has a slightly different reaction within the body. The difference is often enough to help stave off physical dependence. Now that you understand the science behind addiction and you know how to avoid physical dependence, you have a good understanding of the pros and cons of kratom. Once you’ve learnt how to consume kratom, you’ll have a total understanding of this plant, and be able to make an informed decision for yourself about whether kratom is right for you. In the next section we’ll cover how to take kratom, when to take it and in what quantity. Kratom is available in both powder and capsule form. 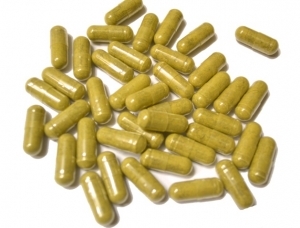 A single capsule contains 500mg (0.5g) of kratom. For comparison, a level teaspoon of kratom powder is about a 2g dose, or 4 capsules. For a kratom beginner, here are some simple guidelines. Take 2 capsules or half a teaspoon of kratom powder (1g dose) on an empty stomach. Having a hot drink afterwards will help speed up the effects. Track your experience and see if the kratom is providing relief to your symptoms. If you feel that you need more, you can increase the dose by 1 or 2 capsules (0.5-1g) after an hour. We strongly recommend that you proceed slowly when trying to find the dose that works for you. With kratom, less is more. You’re going to save money, avoid physical dependence and enjoy kratom more if you take a carefully moderated dose. Bear in mind that factors like bodyweight, time since last meal and tolerance to other opioids will factor into how high a dose you need. Those trying to treat opiate addiction will require a much larger dose. Something to bear in mind when taking kratom in raw powder form is that it has a very unpleasant taste. The best way to deal with taking kratom is to use the ‘toss and wash’ method. Dump your kratom dose onto your tongue and wash it down with juice. You can also mix the kratom up with fruit juice and take it altogether. Water isn’t recommended for this method as it isn’t effective at removing the bitter taste. Another option for taking kratom is to brew a kratom tea. Simply heat the raw kratom powder in hot water and allow it to steep. Filter the powder out with a coffee filter and drink the tea that remains. The downside of this method is that you don’t get the full benefit of the alkaloids within the kratom, but for many this is the preferred method of preparation. By now you understand what kratom is, how to take it, what the benefits are and how to mitigate the negatives. With a full understanding and appreciation of kratom, it is easy to see why this plant is so popular. So if you’ve identified an ailment that you think kratom could help with, the only thing left to do is to put in an order and try it for yourself. 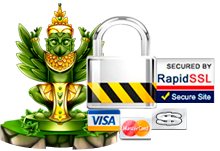 But beware of inexperienced vendors selling cheap kratom of questionable quality. Low quality product contributes to the negative press surrounding kratom. In the next section, we’ll explain what sets Kratom Infusion branded kratom apart from the others and why it is well worth investing in the highest quality kratom on the market. Why buy from Kratom Infusion when you might be able to find cheaper kratom on the market? Well, the truth is we’ve tested the kratom these vendors are selling and we found low averages of mitragynine and the other alkaloids that give kratom its effects. Some had levels of mitragynine as low as 0.1mg per gram to 0.3mg per gram. Good quality kratom would have at least 0.5mg to 0.8mg of mitragynine per gram of kratom. The reason some vendors have kratom with such low levels of alkaloids, is often because they’re using a combination of stem, vein and leaves in their kratom powders. At Kratom Infusion, we only use the kratom leaf, and discard the stem and vein that contains low levels of alkaloids. 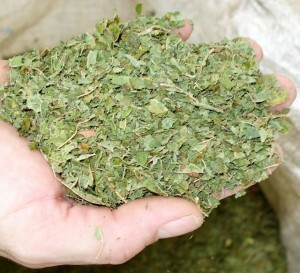 The leaves are handpicked and carefully dried to ensure maximum potency of the kratom effects. For example, by selecting the strongest part of the Maeng Da strain, we are able to average 1.7mg of mitragynine per gram of kratom. This is far higher than even another good quality kratom, let alone the low quality kratom that many vendors sell. Compared to a low quality kratom with 0.3mg mitragynine per gram, our Maeng Da is 5.66 times stronger. Of course, you already understand that less is more with kratom. So that increased potency just means that you need to buy less to get the same effect. When you factor in that our kratom can potentially go 5 times further than any other brand, it becomes clear why Kratom Infusion branded kratom is the best value for money. You can put your trust in us when you buy kratom from Kratom Infusion. We have been in the kratom business since 2001. We consult for other plantations and farms such as Vitazin kratom. We have 23 handpicked locations in fertile jungle and we’ve learned through trial and error the best way to grow and prepare organic kratom. Our kratom is 100% organic, grown without pesticides and is HPLC tested for mitagynine content. It is micronized to a fine flour blend and comes with a Certificate of Analysis to ensure the kratom does not contain contaminants or heavy metals. Now you’re well informed about kratom, the effects it has and the dangers to avoid. You know how to use kratom responsibly and you understand the importance of using high quality kratom. All that is left is to try kratom for yourself. Make sure your first experience with kratom is a great one. See our full range of kratom products here.